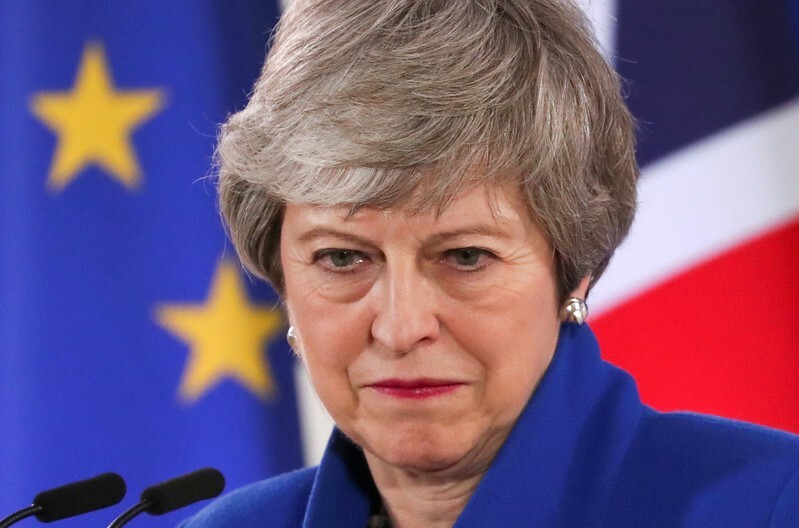 LONDON (Reuters) – Britain’s governing Conservative Party will not change the rules governing leadership challenges but demanded a clear timetable for Prime Minister Theresa May’s departure if her Brexit deal is rejected in parliament, a lawmaker at a party meeting said. The executive of the so-called 1922 Committee, which groups Conservative lawmakers, met on Wednesday to discuss whether to change the leadership rules after some demanded a change to oust May from her post earlier than current procedures allow. But a Conservative lawmaker at a broader meeting of the 1922 Committee said the executive had told lawmakers that there would be no change to the rules, but that the committee would call for a “clear schedule” for May’s departure if her Brexit deal is not passed in parliament. McGahn’s relationship with the president was turbulent. A prominent Washington attorney, he joined Trump’s campaign as counsel in 2015 and followed him to the White House, but the two men never developed a close rapport. His departure last fall came as little surprise. Mueller said McGahn feared Trump was setting in motion a series of events “akin to the Saturday Night Massacre,” the Nixonian effort to rein in the Watergate investigation. Mueller’s report shows there were a handful of other aides who rebuffed orders and suggestions from the president, helping save him from the consequences. Former campaign manager Corey Lewandowski resisted an effort by Trump to convince Attorney General Jeff Sessions to un-recuse himself from the investigation and to limit the scope of Mueller’s probe. Priebus and McGahn repeatedly resisted Trump efforts to force out Sessions so that Trump could replace him and install a new person to oversee Mueller’s work. McGahn also tried in other ways to keep the president in line, advising him that he should not communicate directly with the Department of Justice to avoid the perception or reality of political interference in law enforcement and reminding him that their conversations were not protected by attorney-client privilege. 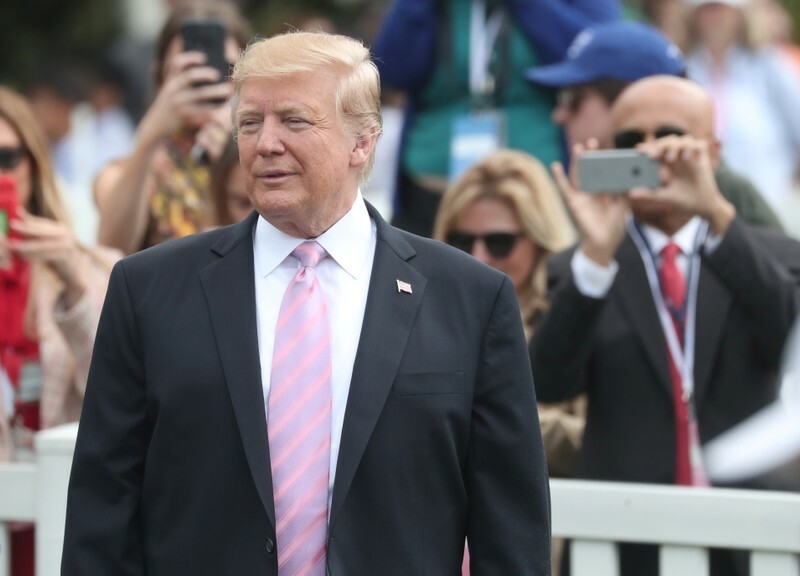 Trump responded by questioning McGahn’s tendency to take notes and draft memoranda outlining his advice to the president for the historical record. McGahn did not respond to a request for comment Thursday and nearly a dozen friends and former colleagues mostly spoke on the condition of anonymity to avoid upsetting him, describing him as a private person. They largely characterized McGahn’s time in the White House as unhappy and defined by his frequent clashes with the president. “Don is an experienced lawyer who’s dealt with difficult clients in the past,” said Jason Torchinsky, an election law attorney who has known McGhan for 20 years. In a campaign and White House staffed largely by novices and bootlickers, McGahn was a rare establishment figure, despite his longer hair and 80s cover band dabbling. He served as commissioner and chairman of the Federal Election Commission and had deep roots with the Republican party, including spending a decade as general counsel of the National Republican Congressional Committee. At the White House, he earned praise from conservatives for helping confirm a series of conservative judges, including, in his final act, shepherding Supreme Court nominee Brett Kavanaugh’s confirmation. He was also instrumental in fulfilling long-held conservative priorities, including leading the White House’s systematic effort to cut government regulations and weaken the power of administrative law judges. 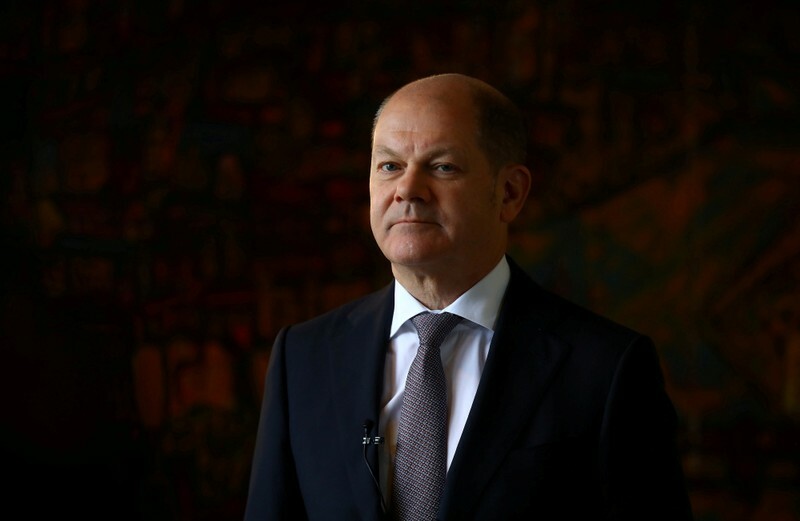 BERLIN (Reuters) – Finance Minister Olaf Scholz ruled out taking on new debt to stimulate Germany’s slowing economy and blamed anemic growth this year on external factors like unresolved trade disputes and the risk of Britain leaving the European Union without a deal. In an interview with the BBC aired on Friday, the Social Democrat finance minister also dismissed fears that Europe’s largest economy could plunge into a recession after the government halved its 2019 growth forecast to 0.5 percent. Chancellor Angela Merkel’s right-left coalition government is facing calls from EU partners and the International Monetary Fund to boost investment, while a conservative lawmaker has demanded a stimulus package to jump-start the economy. He added that trade disputes between the United States and both China and the EU, as well as Brexit uncertainties, were the main causes of the slowdown in Germany and not structural problems like weak investment. Scholz’s decision to take on no new debt has drawn criticism from both Merkel’s conservatives and his center-left Social Democrats (SPD) as well as from business leaders who want lower corporate taxes. “I very much agree with all those in Germany saying that we should not have extra debt,” said Scholz. Scholz said approved tax relief for families to the tune of 10 billion euros ($11 billion) a year, higher spending on pensions and social welfare, and investments in digitalization, infrastructure and research and development should keep the economy humming. Germany, whose economy has grown in each of the last nine years, has had a “debt brake” law in place since 2011 that forces the federal and state governments to virtually eliminate their structural budget deficits over five to 10 years. 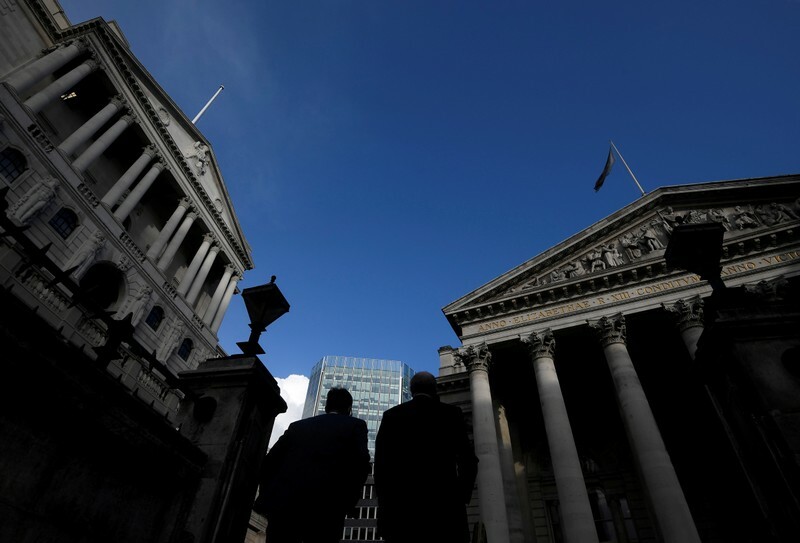 LONDON (Reuters) – The weeks before Easter are usually some of the busiest of the year for bankers, lawyers and consultants in the City of London, as clients rush to get deals done before a run of public holidays. But this year comparatively little has been happening. City workers had been hoping the torpor of the first quarter would be lifted if Britain left the European Union on March 29, or indeed, April 12. But with Brexit on ice until as late as October 31 and the terms of the exit still to be agreed, fears are building that this could be one of the leanest years for the City since the aftermath of the 2008 financial crisis. The London Stock Exchange has had only one corporate listing in excess of 75 million pounds ($97.61 million) so far this year. Trading turnover on the London Stock Exchange in February and March was down a third from a year ago, and the lowest since August 2016. Average daily turnover on London’s blue chip FTSE 100 stock index fell harder in those two months than all the main bourses in Europe except the DAX 30, according to a Reuters analysis of Refinitiv data. European investment banking fees – the biggest chunk of which are earned in London – were down 25 percent in the first quarter, according to Refinitiv. And there were just 11 new UK-based hedge funds launched in the first quarter, compared to 35 in the same quarter in 2018, data from Prequin shows. “There is going to be a long hiatus. Investors will need to see something far more positive in politics to be persuaded to move again,” Alastair Winter, economic adviser to Global Alliance Partners told Reuters. Recruitment firm Morgan McKinley’s latest London Employment Monitor, which tracks financial services hiring trends from January to March, showed vacancies and job seekers dropping 9 percent and 15 percent respectively year-on-year. The number of job vacancies and job seekers in the first quarter were half the level they were in 2017. Hakan Enver, Morgan McKinley Managing Director, said the figures showed confidence among City employers was flatlining. 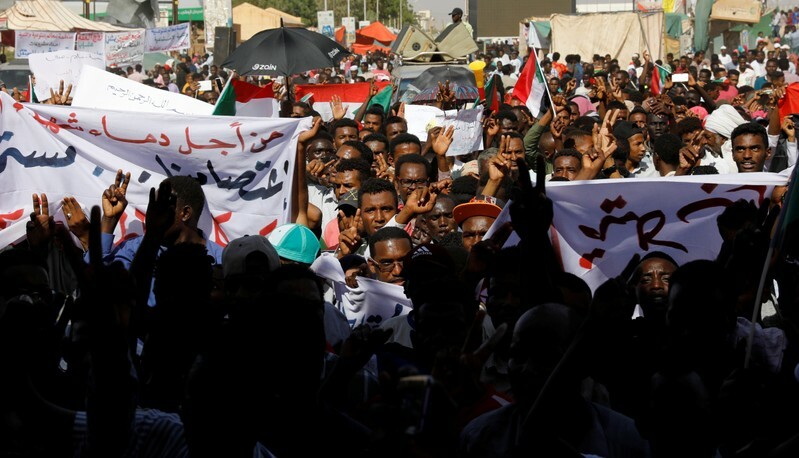 “Even with all the uncertainty of the last few years, there was always an assumption that come March 29, we would have some answers. Yet here we are, still waiting,” Enver said. Neil Robson, regulatory and compliance partner at law firm Katten Muchin Rosenman, said in the six weeks leading up to the end of March the “chargeable” work he had done was what he would usually do in a week-and-a-half. “People are not setting up new funds, are not hiring, firing, they’re not doing new deals because they’re just waiting for what’s happening with Brexit,” he told Reuters. Unlike the 2008 financial crisis, there is no sense of panic, just a pause pending greater clarity around Brexit, as well as other global issues like the U.S.-China trade dispute. “We haven’t seen any panic-selling. There is resilience, and people have decided they need to just watch this play out,” one senior private banker said. Robson said he had seen a small pick-up in activity since the Brexit extension was agreed, but it was still not at full capacity. The slowdown has forced firms to be more creative about how to make money. Several large investment banks, including JPMorgan and Goldman Sachs, have ramped up fundraising for private companies to fill an income void left by shallow capital markets activity. JPMorgan recently helped British banking start-up Starling raise 75 million pounds to fund expansion. Banks are also spending more time taking companies off the stock market. “I’m probably spending more of my time talking about take-private opportunities than I was a year ago. You will see more of that from now on. There are going to be more take privates if valuations continue to be depressed,” Indy Bhattacharyya, director at broker Peel Hunt, said. The slowdown is not isolated to London – U.S. banks this week reported slides in their trading businesses globally. But with Brexit uncertainty confounding the issue, UK-based finance houses in particular are finding it tough going. “The bigger players will survive this, with some cuts here and there. Where there will be carnage is among the small-cap brokers, the boutique operators,” said Winter. Canada’s Canaccord Genuity Group last month blamed Brexit and regulatory pressure for unacceptable returns in its UK capital markets business and the launch of a restructuring program expected to lead to significant job cuts. As part of that plan, the company has put 48 jobs in London, more than a quarter of its City workforce, at risk of redundancy, according to an internal document seen by Reuters. It also plans to ax its mining and investment trust businesses, two sources familiar with the situation said. Canaccord said in a statement that it was going through a consultation process and could not confirm details about the affected employees. “This process, while difficult, is in connection with our previously stated strategy of better focusing our operations in the areas where we can be most relevant to our clients, while limiting our exposure in areas that are more sensitive to an unpredictable market backdrop,” the firm said. With the threat of potential cuts, bankers say they are holding off booking extended holidays and doubling down on meeting clients and pitching ideas instead. But until there’s more Brexit clarity, few expect that to lead to much new business. “There’s every chance this year that you’ll see more bankers doing the school run,” Peel Hunt’s Bhattacharyya said. 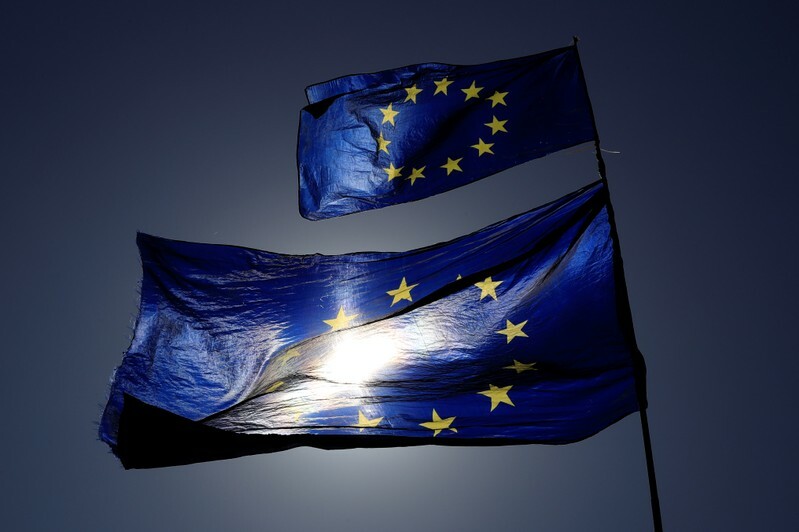 BRUSSELS (Reuters) – British voters at the elections for the next European Parliament would strengthen eurosceptic groups, while the center-right would remain the largest grouping in the legislature, an EU survey showed on Thursday. The projection, commissioned by the European Parliament, showed that the two most eurosceptic groups in the parliament would increase their share of seats to 14.3 percent of the total compared with 13.0 percent in the previous survey from March which did not include British voters. The survey included national polls published up to April 15. With Britain’s participation in the elections, which might still be avoided if a Brexit deal is struck before the May 23-26 vote, the nationalist Europe of Nations and Freedom (ENF) which includes Italy’s far-right League would scoop 8.3 percent of seats in the next legislature, down from 8.7 percent. Europe of Freedom and Direct Democracy, the other openly eurosceptic grouping which currently includes the United Kingdom Independence Party, would win 6 percent of the seats from 4.3 percent predicted in March when Britain was not expected to take part in the EU elections. The European Conservatives and Reformists grouping, which includes the PiS party of Polish eurosceptic leader Jaroslaw Kaczynski, would obtain 8.8 percent of the seats, up from 7.5 percent in the previous poll which did not include British Conservative voters. Britain has secured an extension of Brexit to the end of October, meaning British parties have began campaigning for the EU election. Under the new survey, which assumes the number of seats in the next parliament will remain 751 instead of dropping to 705 after Brexit, the center-right European People’s Party would remain the largest, but its share of seats would fall to 24.0 percent from 26.7 percent forecast in March. German Chancellor Angela Merkel’s center-right Christian Democrats are expected to remain the largest national party in the next legislature, holding 30 seats, down from 33. The center-left Socialists and Democrats would be the second biggest grouping with 19.8 percent of the seats, down from 20.1 percent in the previous survey in March which did not include British votes. Despite the contribution of the British Labour Party, which is estimated to win 20 seats in the next EU legislature, the center-left’s total share of seats would fall due to declines for other national parties, including in Germany and Italy.